Growing up as an Empath , I have tried my whole life trying to act a certain way to avoid bullying and hurt. Over time I learned to curve around my feelings and wasn’t dealing with my fears…. 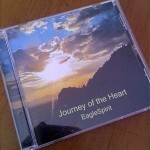 In April 2011 I had met EagleSpirit at a book club meeting and decided to go for a session. I have been to a handful of sessions and I must say they have helped me a great deal and I have made big shifts. These shifts were easier to do because she made me feel safe. Nowadays, I feel free to be myself completely not just a version of myself. I feel that I have the power to shape my future. I am now dealing with my feelings and expressing them. All of these are gifts. These sessions even helped me let go of my many barriors that I was putting between people and myself. I highly recommend you at least try a session with ES if you feel called to, you won’t regret it. I am eternally grateful for her assistance. 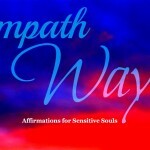 “I had the opportunity to take the Empath 101 course last year. I have to be honest I was afraid of what I would find out. I always felt different and felt deeply. Was there something wrong with me? This course was liberating for me in so many ways. I am now free to BE me at home, in my work and generally in life. The tools that Eaglespirit gave me during the course allow me to feel freely in all my energetic bodies and to know when something that I am feeling is not mine. EagleSpirit is a beautiful soul who shared her gift with me one afternoon in Sedona. She knew I needed energy healing and balancing. She was aware of what I needed without me needing to say anything! While she worked with me, her hands naturally knew where I needed the healing and the heat from her hands worked miracles!! 🙂 She was able to communicate with my soul and shared important messages for me to continue my journey. I felt the effects of her work days after and I know she will forever be a part of me. I love her Spirit! I unexpectedly received the gift of energy healing tonight. I sat among a unique group of people gathered to share stories and experiences. Eaglespirit shared her story and blessed us with a song that resonated through my body. I’m still vibrating with energy. Thank you so much….I needed that.